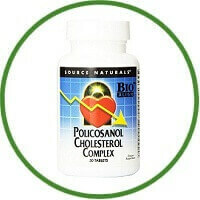 Features 20 mg of policosanol – best-selling red yeast rice alternative. Bio-Aligned Formula supports multiple body systems: heart, blood vessels, nervous system, thyroid, liver and gastrointestinal tract. Provides 500 mg of curcumin, the amount shown in research to reduce serum lipid peroxides and help maintain cholesterol levels within the normal range.